Digital therapeutics specialist Kaia Health has raised $10 million in a Series A round led by Balderton Capital to tackle some of the world’s most urgent health challenges. The investment will be used to support Kaia Health’s US rollout – including a new office in New York City – and fund further clinical studies. Since launching in 2016, Kaia Health has created scientifically-validated digital treatments for a range of disorders including back pain and COPD. Its Kaia back pain app has been rapidly adopted by over 250,000 individuals as well as organisations across Europe and the US. This includes some of Europe’s biggest health insurance companies, such as BARMER, Germany’s largest, which offers the service free to members. 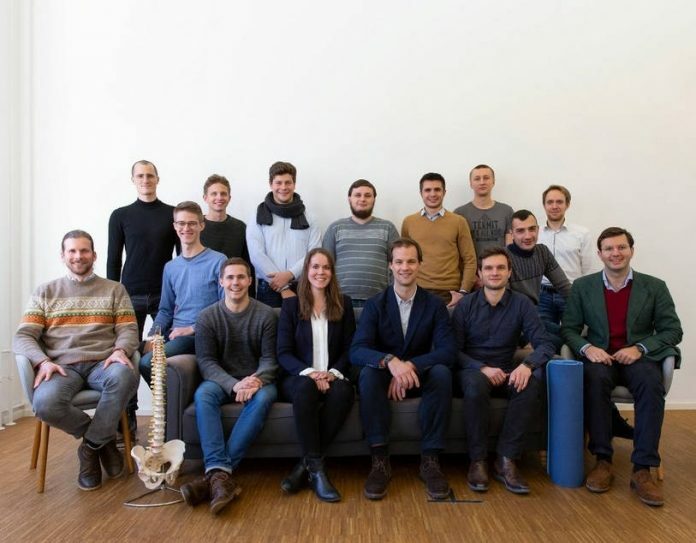 Konstantin Mehl, co-founder and CEO of Kaia Health, says: “Over the last twelve months, we’ve demonstrated a universal, unmet need for affordable and accessible digital therapy products, such as our world’s first computer vision-powered back pain app. “These improve treatment paths for patients and reduce costs for payers in healthcare around the globe. James Wise, Partner at Balderton Capital adds: “Providing high-quality and affordable health care for everyone is an urgent issue. Kaia Health is helping to tackle this through its revolutionary technology, which we believe could offer millions of chronic-pain sufferers best-in-class clinical solutions from the comfort of their own homes.